This post was sponsored by Convenient Care Now and MomTrends. All opinions are 100% my own. The Convenient Care Now app is available now in New Jersey, and you can use this special code (CARENOW13) for your first visit free! All other residents of other states are welcome to be jealous and hope Care Now comes to their state soon. As a mom, certain things are inevitable. The baby will have a stinky diaper right as you’re walking out the door, the kids will need a glass of water and a snack immediately at bedtime, and your entire family will get sick during holiday travel. Are you going to find yourself stuck in a tiny car or plane with a bunch of germs people? Then you definitely need one of these DIY Holiday Travel Health and Wellness Kits! 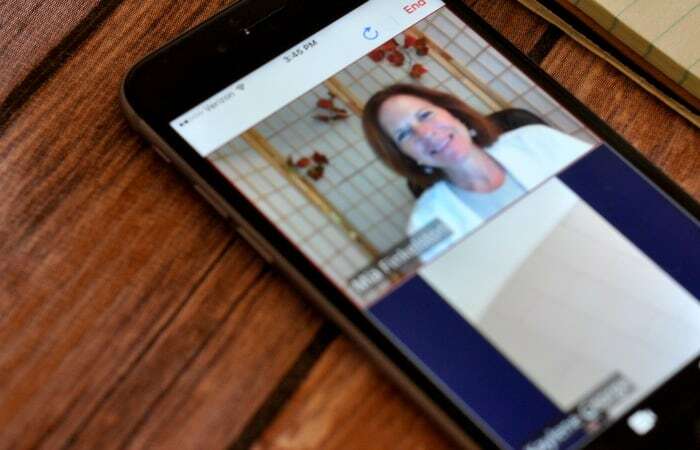 Thankfully, I got to use this awesome app, Convenient Care Now, to chat with a wonderful doctor, Dr. Finkelston about what I should include in my kit to keep my family feeling well during the holidays! The Convenient Care Now App – This app helps you see a doctor while you’re on the go without stepping foot into an ER or clinic. Vitamin C – Dr. Finkelston said that she recommends taking some vitamin C the moment you start feeling poorly! It helps kick your immune system into high gear. Ibuprofen – Ibuprofen is good for headaches, mild fevers, aches and pains, and all sorts of different things, so it’s a must to have in any health and wellness kit! Mucinex – Dr. Finkelston says to make sure you get the plain Mucinex without any letters after it. It is a really safe medicine and it helps to clear up mucous from yucky congestion! Bandaids – These are for the kids that will inevitably get hurt at every holiday get together. Blister Pads – For our poor footsies when we think for the millionth time that we’ll be totally fine to wear heels. Seriously, it’s never fine to wear heels! Pick up the supplies listed above at your favorite store. Throw them all together in your DIY Holiday Travel Health and Wellness Kit! 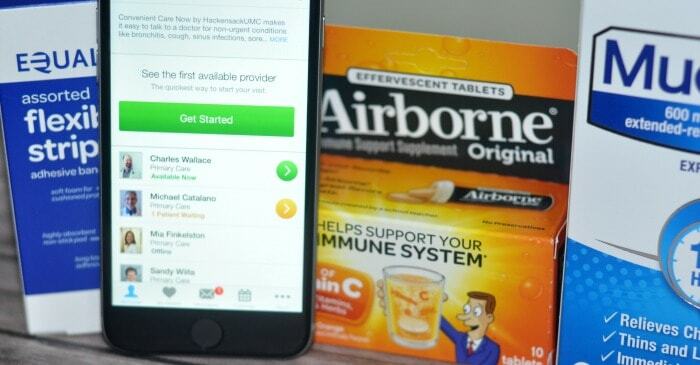 Probably the most important part of the DIY holiday travel health and wellness kit is the Convenient Care Now app. 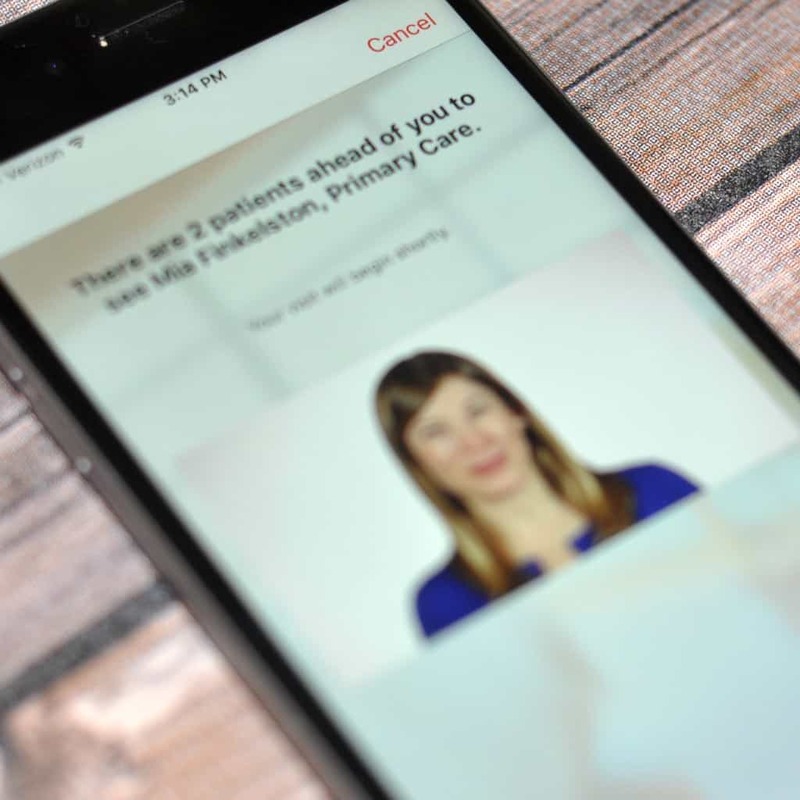 You get nearly immediate access to a doctor through your phone without stepping foot in an ER or clinic! The doctors on Convenient Care Now are available 24/7, so you can reach out to them even on a holiday! Using the convenient care now app is also much more affordable than visiting a traditional doctor’s office for most people at only $49 per visit! The Convenient Care Now app is available now in New Jersey, and you can use this special code (CARENOW13) for your first visit free!